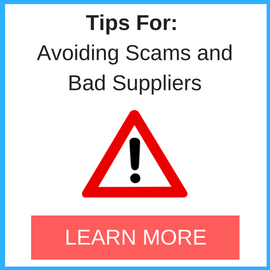 User-generated list of unsafe suppliers. Are you researching for information on the company Shenzhen Phoneyue Electronics Co Ltd from Guangzhou China who sells auxiliary input cables? If so, refer below to read one buyer’s experience with this company. I had ordered 120 Auxiliary Input Cables from this company, they had arrived fast as I paid to airship. Upon close inspection of the cables, I had noticed that about 70% of them were slightly different then what they advertised in the pictures and text on there Alibaba site. What they advertised was metal bodies and what I got was metal shell with plastic under it. Comparing it to the 30% of units that were what was advertised, it was quite easy to pick out the differences. I then went to test the cables on several different devices and found the quality of sound and how they functioned was VERY bad quality. If you moved the device well the cable was plugged in the sound would crackle and pop. These cables can not be resold in this condition. I then went to tell the company of my issues on WhatsApp, and they just viewed and ignored it. I then went to PayPal, as that is how I made my payment, and did a dispute. They then did respond back and after many times responding, they told me to send back the cables at my expense. I did get PayPal to step in and they had also said to pay to send the cables back. I had MANY great experiences with other company’s from Alibaba. Company’s that will bend over backwards for you so they keep your business. 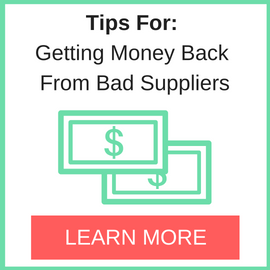 I had had company’s who sent defective product, and had no problem offering a partial refund. That being said, there will always be a few bad apples, us as re-sellers know this and we take the steps to protect our self’s. The lesson I had learned from this is even if you use PayPal you are not fully protected. I should have made a smaller order at first, but I was thinking ship more save on shipping costs. I did lose a small amount, it could have been worse. I, Richard, have resolved the matter with Shenzhen Phoneyue, and no longer consider the supplier a bad supplier as I have received a full refund for the cables without having to pay the cost of shipping them back. If you would like to report a bad supplier and/or get full access to all listing and entire case notes, going back to 2012, simply sign up as a free user account via the “LOGIN PAGE” page. Then click the search button and enter your keywords or a company name into the search box. No part of this website may be reproduced, stored, or transmitted by any means – whether auditory, graphic, mechanical, or electronic – without written permission. Unauthorized reproduction of any part of this website is illegal and is punishable by law.